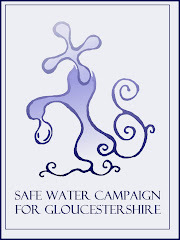 At our meeting last week of the Safe Water Campaign we agreed to write to our MP again. Rob, our Chair has kindly penned the letter below. 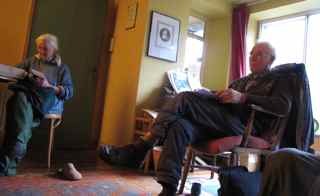 There were about 8 of us at the meeting and we also agreed a number of other letters to write and discussed the Judicial Review (see earlier blog). I enclose a copy of my letter of 1st June 2010 for your reference. Since then, as you will know there has been a “judicial review “ of the South Central SHA’s decision to fluoridate much of the drinking water in the Southampton area. The decision as you will also know went in favour of the SHA. My original letter to you asked about any revised policies as regards the fluoridation of our drinking water. I also sent the same letter to Simon Burns, the secretary of state for health. The reply from his “customer service centre” suggested that I look at the department’s website to review the government’s health strategies. I have looked at this website but have found no mention of water fluoridation. However I have found the following quotes on the website which would seem to indicate beyond any doubt that the current government would certainly not go against 72% of the local population in the Southampton area who were against the fluoridation of their water supplies? ………….about half of all deaths in this country are preventable, so more needs to be done to encourage people to look after their own health by eating well and exercising more………. ………….”No decision about me without me” will be the principle behind the way in which patients are treated. …………..The public will be able to have more influence over what kind of health services should be available locally. I have also read that the government is considering using the fluoridation project in Southampton as an experiment to test the efficacy of such a treatment? Please would you tell me if this is true? This would make the government look rather unintelligent if the powers that be are still uncertain about results after 50 years of fluoridation in the Birmingham area? Please would you pass a copy of this letter on to Simon Burns and request that he gives a prompt reply and indicates what the government policy on fluoridation now is?